Over the past few months, the North Carolina Department of Environmental Quality has seemed determined to have complete environmental regulatory control of the state, showing little regard for federal or public input. In this endeavor, DEQ has taken every chance it can to highlight how external forces, including citizens groups and the U.S. Environmental Protection Agency are simply getting in its way. Upholding the best interests of North Carolina’s citizens and the environment only becomes a priority when the agency is threatened with losing power. DEQ joined a lawsuit with more than two dozen of the nation’s largest carbon-emitting states against the EPA’s Clean Power Plan. In October, DEQ submitted a proposal that would only address coal-based emissions because it believes the first component of the Clean Power Plan — improving coal fired power plant efficiency — is the only aspect the EPA has the legal authority to regulate under the Clean Air Act. TAKE ACTION: Demand a REAL Clean Power Plan for North Carolina. But if the Clean Power Plan survives in court, and the EPA rejects North Carolina’s plan, federal regulators can intervene in North Carolina’s emission reductions process. So, in case their strategy fails, state officials plan to submit an alternate plan that aligns with the EPA’s proposal. This year, DEQ permitted a cement plant in Wilmington that would emit more than 5,000 tons of particulates, mercury and other air pollution annually. The agency also OKed a quarry in Blounts Creek that would discharge up to 12 million gallons of waste a day into the Pamlico River. Residents of these areas, along with coastal environmental advocacy and conservation groups, challenged these permits. The state dismissed those challenges on the grounds that the groups did not have standing. The EPA sent a letter to DEQ Secretary Donald van der Vaart stating that the inability of citizens to appeal permits was troubling. The letter warned that if DEQ continued to skirt federal regulations, the EPA would revoke its authority to issue pollution permits under the Clean Air Act and Clean Water Act. DEQ responded by shifting the blame to a court decision and presented a list of regulations required by the EPA but not by state law — insinuating that the public process for challenging permits is less burdensome on the state level. State officials said they have no intention of losing permitting authority. UPDATE: A draft summary by DEQ classified 27 of Duke Energy’s 32 coal ash ponds in North Carolina as posing a “high” or “immediate” risk. If the ratings stand when they are finalized on Dec. 31, Duke would have to excavate the coal ash from those sites. In another isolationist move, DEQ wants to move forward on the priority classification of coal ash containment sites without the Coal Ash Management Commission. But the commission was created by the Coal Ash Management Act to be housed under the N.C. Department of Public Safety because the General Assembly determined that DEQ was ineffectual and untrustworthy in regulating coal ash. These site classifications will determine timelines for the cleanup of coal ash at each site, with up to a decade of difference in cleanup response. Sites deemed low priority could be closed using “cap-in-place,” a method that would leave nearby waterways and communities at risk. The commission has 60 days to review the classifications before they go into effect. However, the state Supreme Court has not yet ruled on Governor Pat McCrory’s lawsuit challenging appointments to the commission, so the group is unable to reach a quorum. 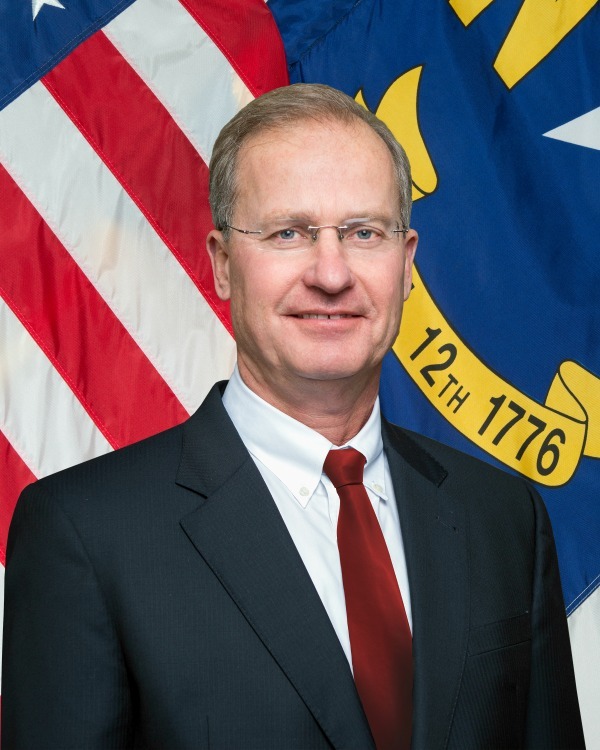 When Commission Chairman Michael Jacobs wrote a letter to McCrory and legislative leaders to point this out, van der Vaart responded to say DEQ has it under control. “Fortunately, legislators had the foresight to include provisions in the coal ash law that prevent delays to the cleanup process including a provision that ensures the prioritization and public participation processes can proceed in the absence of the Coal Ash Management Commission,” van der Vaart wrote. He did not mention why the commission was not housed under DEQ in the first place. DEQ is currently making a public fuss about the EPA taking time to review a state-issued permit to dewater the coal ash pond at Duke Energy’s Riverbend Steam Station in Mount Holly, N.C. DEQ claims that this is the fifth permitting delay this year from the EPA, and that North Carolina is receiving different treatment than other states with regard to its coal ash cleanup projects. Duke Energy’s retired Riverbend Steam Station, Photo by Duke Energy, licensed under Creative Commons. 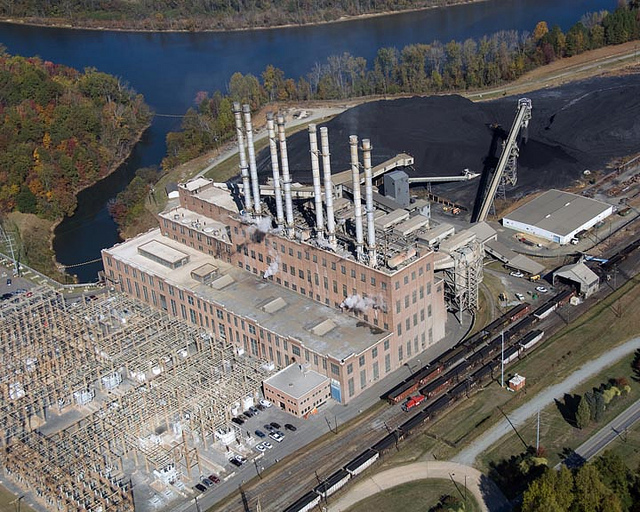 Duke’s plants are permitted a discharge rate of coal ash pond water as part of a multi-step treatment process. The nearby bodies of water, many of which supply drinking water to nearby cities and towns, are monitored to determine how much impact the discharge has on the surrounding environment and watershed. DEQ is rushing to dump the entirety of the coal ash pond water into Mountain Island Lake, which is already polluted from the coal ash ponds at the Riverbend plant. Water samples taken from Mountain Island Lake in 2013 indicated there were levels of constituents in the surface water that exceeded public health standards. Tissues samples taken from fish caught in the lake were found to have high levels of heavy metals, which led to a state-issued fish consumption advisory. Mountain Island Lake is the drinking water source more than 750,000 people. With these considerations, is it not reasonable to take more than 15 days to analyze such a permit? Or does DEQ just want to have its way regardless of what happens to the people downstream.